Perfect your audio file with multiple audio effects and tracks. We often love to record sound tracks as well as videos at home and want to spread them among friends to make them popular but it is not always possible record these tracks with fine quality. Their background music is mostly very noisy and we wish to remove that unwanted noise from recorded tracks. Also if we are able to improve the background of recorded audios or captured videos then their quality is automatically increased. Some of you might be interested to capture activities of animals in forests but we often end up with too much surrounding noise and the real effects of that video are reduced. In order to make activities of those captured animals very much clear to viewers in addition to better sound quality it is good to use some software tools that can edit background music with ease. This editing task will help to improve overall quality of recordings and will increase market value of your audio tracks. There are so many software tools available online for audio editing but for better results you have choose the most trusted one. And before you start editing your audios from recordings it is important to know that this editing demands more efforts as compared to video editing. Wondershare Filmora is rated higher for such applications because here all audio effects can be adjusted with one click only. The built in Equalizer present in Wondershare Filmora is capable enough to create amazing audio effects and it will make recorded audios more appealing to your ears. 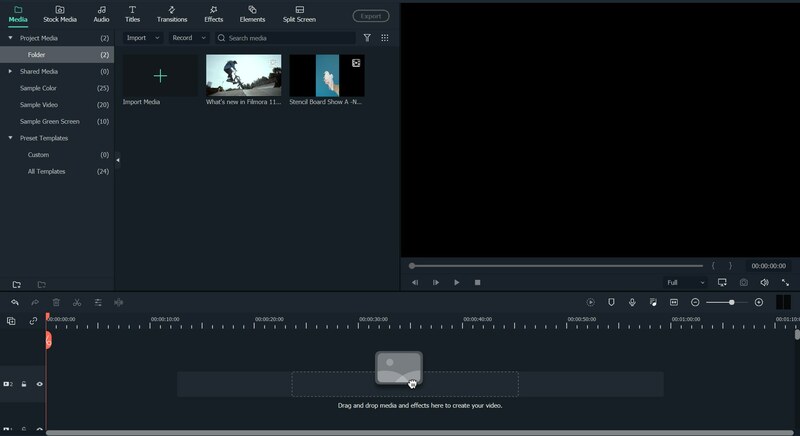 All interactive features of Filmora will set new dimensions to your videos with awesome audio background and they will soon become popular in market. 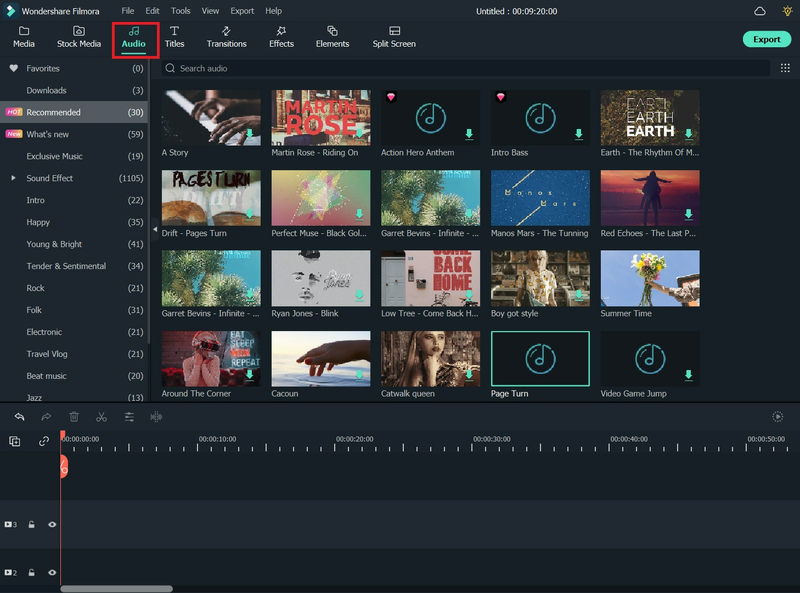 Whether you are a beginner in this field or are en expert audio editor, in both cases Wondershare Filmora will provide you best results with its incredible platform. First of all you have to import your desired video clip of any size on to Filmora. For this first of all launch the video editor software on your device and then select edit ratio 4:3 or 16:9 as per your need before going ahead to front window. Now use import option present on your screen to bring desired video clip on to software platform. It is also possible to use drag and drop feature to get your videos. The next important step to your editing needs is separation of audio files from captured videos so that only required content can be edited. In order to detach these audio signals, you have to move cursor over video so that it can be highlighted and then simply select audio detach option after right click on video. Within few seconds the separated audio will appear on screen in form of music timeline; now as it is separated from original video file so you can modify or delete it as per your need without affecting original video. In order to improve quality of audio signal, now you have to use built in audio equalizer of Wondershare Filmora. 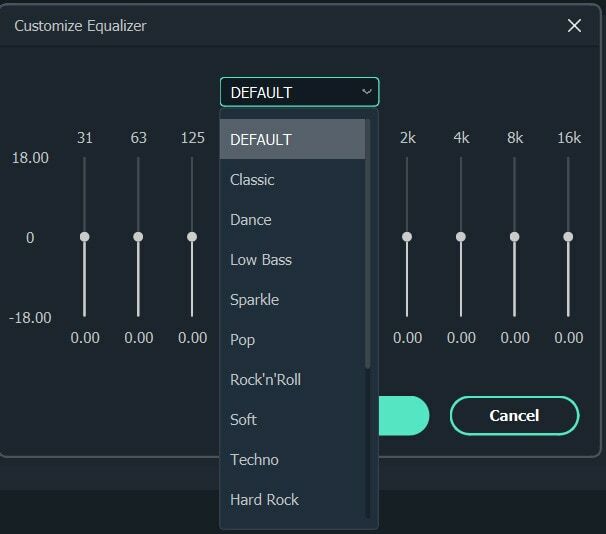 It is possible to add so many audio effects onto your music timeline as like country, blue, sparkle, low bass, dance and classic etc. Users are free to select audio effects as per their choice and within very less time the audio signals will be equalized automatically. Simply go to the sound tab present on your screen and then make selection for any of the desired audio effect out of a long list or big library. Drag that effect over your audio track and save the changes; you can also play track in between to check its quality. Once your customization task is completed then it is time to save your new edited video file back to your system. It is possible to choose any desired format for this resultant video. Wondershare Filmora is one of the top rated software tools for audio editing due to its incredible features and interactive platform. If you wish to create wonderful videos with catching background music then prefer to download this software on your system to enjoy all amazing editing tools present inside. John 3:16King James Version (KJV) 16 For God so loved the world, that he gave his only begotten Son, that whosoever believeth in him should not perish, but have everlasting life. God bless b.